Today I'm sharing an aluminum foil technique. 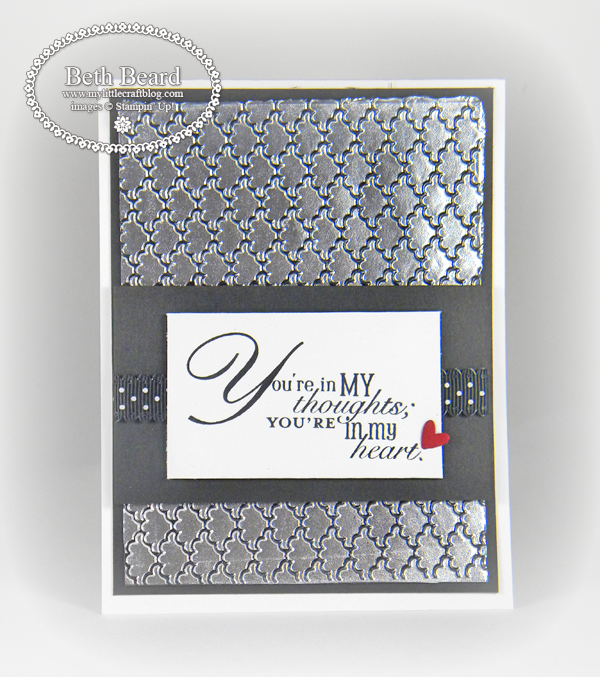 It's super easy and gives your projects a "Wow" factor that is perfect for masculine cards. What man doesn't like shiny, metal objects? 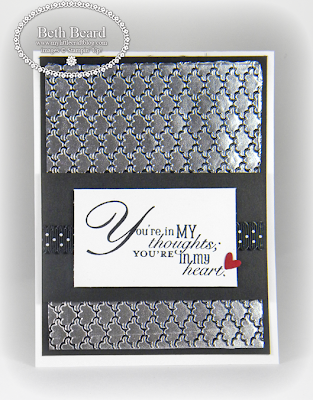 Change the embossing folder and embellishments and turn it into a feminine card. This technique has lots of possibilities. Cut a piece of heavy duty aluminum foil 3-3/4" x 5"
Use bone folder to smooth any wrinkles. Brandi from the Home Office walks through some of the benefits of Stampin' Up! 's new Photopolymer stamps. And don't miss the next addition to Stampin' Up! 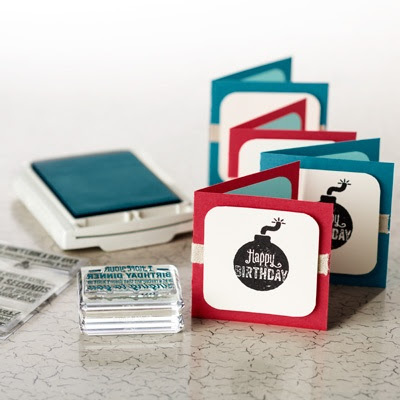 's Photopolymer stamp set line: Bombs Away Birthday! For Mom Greeting Card Templates Buy it Now! 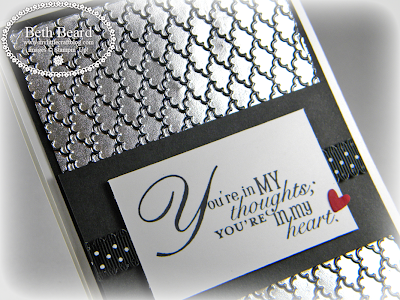 A real wow card...and thank you for sharing your tutorial! Can easily see this with a different EF making it very great for our guys! TFS!